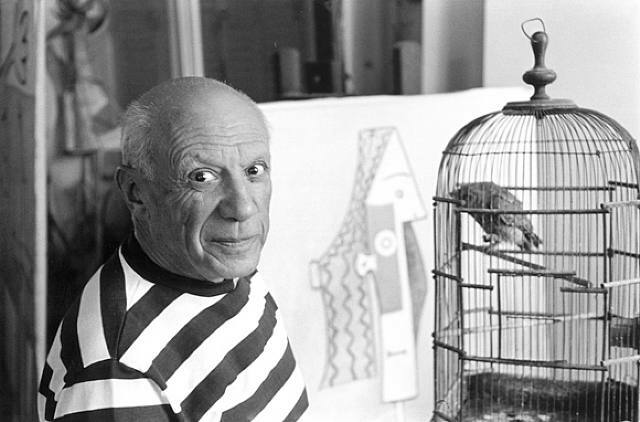 Pablo Picasso, Villa la Californie, Cannes, 1957 photographed by René Burri. The Picasso's Mediterranean Years (1945-1962) exhibition at Gagosion London on 6-24 Brittania Street will open on Friday June 4th. The exhibition will run until August 28th 2010. Following the success of "Picasso: Mosqueteros" in the spring of 2009 -- an exhibition heralded by The New York Times as one of the best shows in the city since the turn of the century, Picasso biographer John Richardson will again partner with the artist's grandson Bernard Ruiz, Picasso to curate "Picasso: The Mediterranean Years (1945-1962)" at Gagosian Gallery Britannia Street in London. With a focus on Picasso's most intimate works, "Picasso: The Mediterranean Years" will provide an important contrast to Tate Liverpool's exhibition "Picasso: Peace and Freedom." Between these two exhibitions, visitors to Great Britain in the summer of 2010 will have an extraordinary opportunity to explore the public and private faces of this peerlessly multi-dimensional artist in the 1950s.